Camera Bags can be very subjective. Practicality always translate into bulky and tasteless designs while other manufacturers concentrate on selling their products heavily based on design while useability are compromised. So where do photographers go from here? To make things worse, there are so many brands in the market right now and photographers are indeed spoilt for choice. Anytime. Introducing ZKIN. Stylish design coupled with good quality material and designed with the user in mind. Though not really meant for the professional range of DSLRs due to its size and capacity, this is a great bag on those days where you wish to just bring out a smaller DSLR, or a RangeFinder along with some of its accessories – this bag is just perfect. 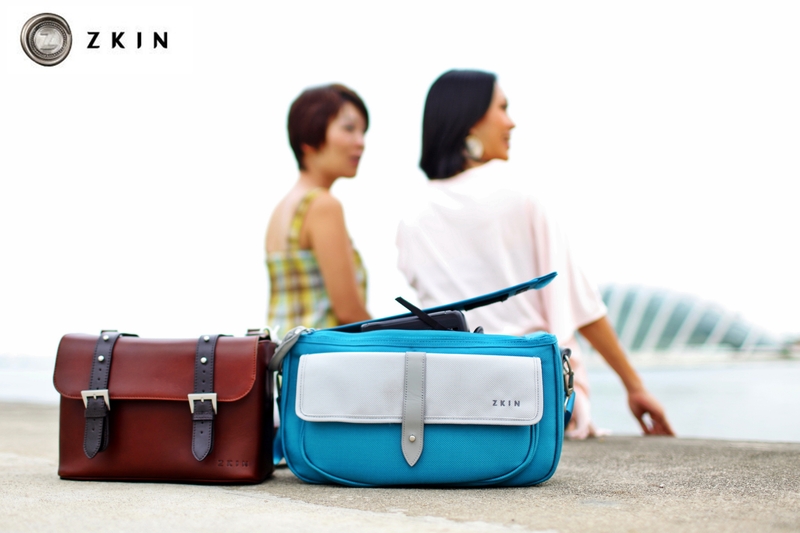 ZKIN bags are the beautiful result of fashion integration. It’s made stylish, yet casual, meantime it can be sophisticated too. 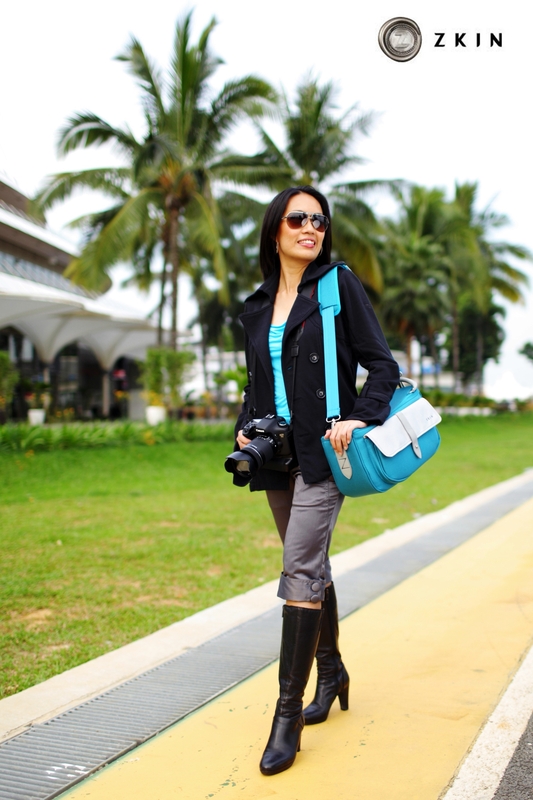 ZKIN camera bags actually fits itself nicely into any occasion or shoot without the unneccessary attention. Be it a day out at the beach, gathering with friends, doing journalistic work or simply a leisure walkabout, ZKIN has just the right bag for you. Models: Celes Fernandez & Connie Yeo. Director of Photography: Yu Ling. Photography Assistants: Lin Weibin, Wee Yang & Bryan Ong. Photography Studio: Shutter Journey Studios Inc. This entry was posted in Featured Photography Merchants, Photography Articles & Videos and tagged Accessories, Photography, Zkin. Bookmark the permalink. 2 Responses to ZKIN – Stylish.Casual.Sophisticated.